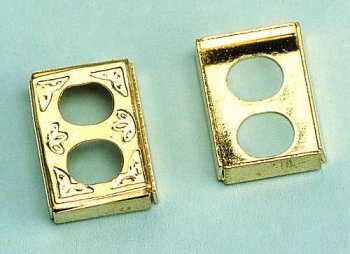 Give a polished brass look to all your outlets. These bright and heavily engraved covers will provide a rich and finished appearance wherever they are used. The double holes allow ample space for inserting and removing either type of CK1004 plug. Simply place over outlet and press in place.